You know Easter has arrived when you walk into your local stores and spot all the Easter theme decorations and egg chocolates. I was able to score some very kawaii Sanrio candies from Japan and decided to use chocolate eggs as a backdrop for this photo below. Very colorful and right on time for Easter. It's a sweet image. 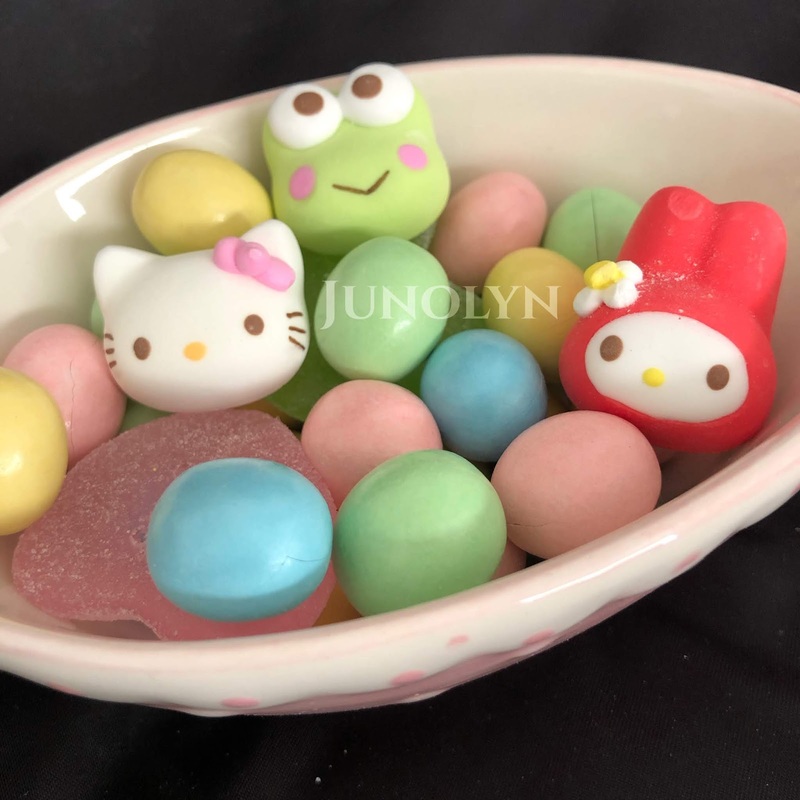 It's a real shame that Hello Kitty Cafe doesn't sell these Sanrio candies, but then of course-- we're talking about a company who wants to make an easy buck by putting out fast casual art food or even none decorated at all (just normal food). For Collectors like me, you have to go and get what you want rather than depending on the Hello Kitty Cafe or Sanrio USA. I don't believe in relying only on local resources. If you want something badly enough, you'll find a way to get it. Happy Early Easter! Hope Keroppi, Hello Kitty, and My Melody brightens your mood for this month!